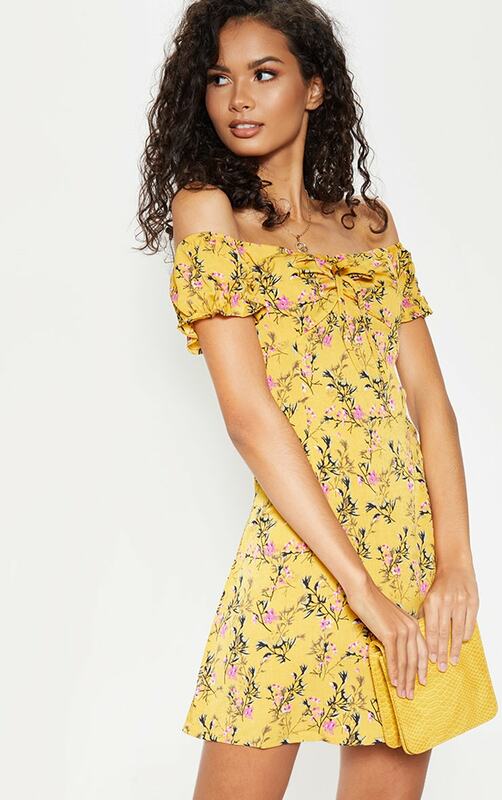 Keep it cute and floral this season with this dreamy shift dress. 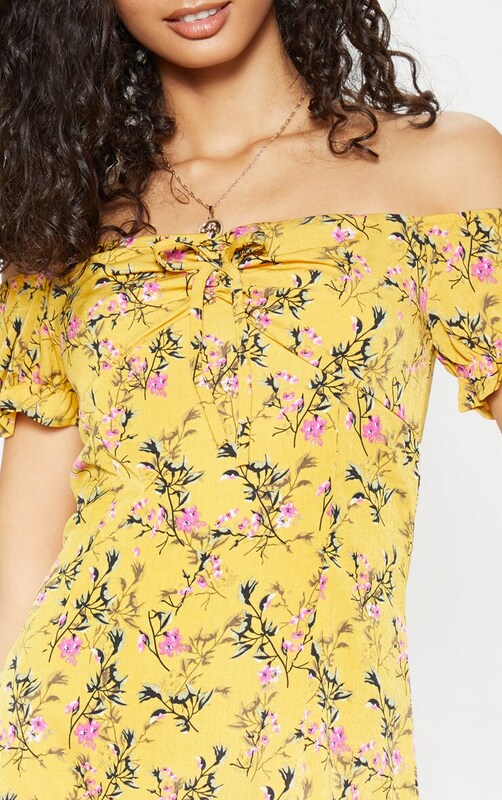 Featuring a mustard floral printed fabric with a flattering bardot neckline and loose, shift dress fit, we are obsessed. Style with heeled sandals and a cute mini bag for a look we're loving.